Where Have the Old Words Got Me? Dylan Thomas is one of the most well-known poets of the twentieth century, yet much of his poetry is considered obscure and difficult, and readers tend to concentrate on those poems that can be most easily understood. Where Have the Old Words Got Me? is the authoritative reader’s guide to Dylan Thomas’s Collected Poems, 1934-1953, consisting of detailed explications of every poem in the collection. Working from the principle that Thomas’s biography offers the key to his poetry, Ralph Maud integrates critical commentary with biographical detail to elucidate Thomas’s works. His aim is to allow readers to understand better the complex imagery and narrative movements of Thomas’s work and to provide the basis for renewed critical investigation of the poetry. 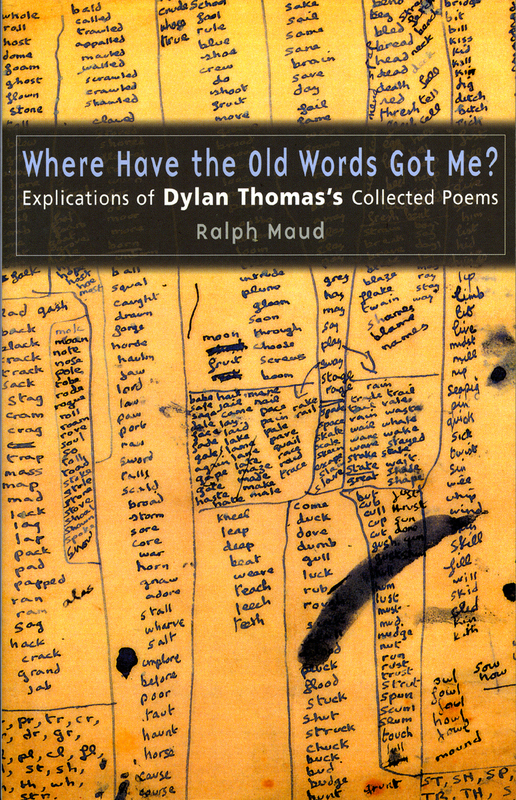 Ralph Maud is a world-renowned expert on Dylan Thomas, as well as the co-editorof the standard edition of Thomas’s work. Where Have the Old Words Got Me? is the culmination of his lifetime’s study of Thomas’s poetry. It will be essential reading for all those interested in the life and works of Dylan Thomas, from academic specialists to the general reader.